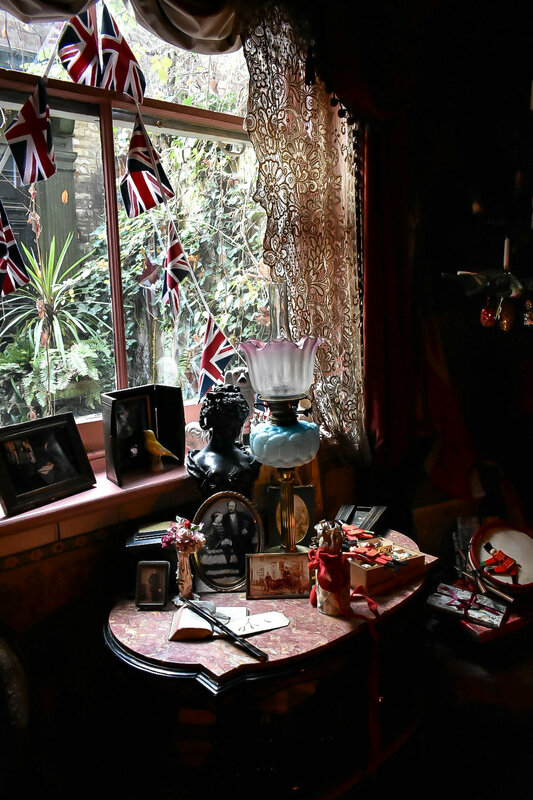 I’ve loved Dennis Severs’ house ever since I first lived in Spitalfields 10 years ago. 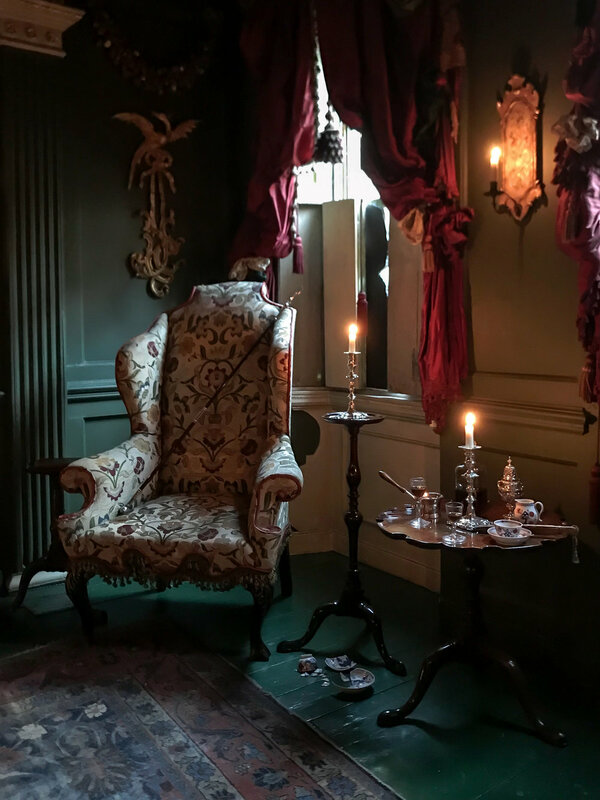 I would walk past the house at 18 Folgate St with the red shutters and the silhouette of an 18th century lady in the upper window nearly every day and admire it. I've visited the house several times before, and it's a particularly special place at Christmas time, when the house is wonderfully decorated both inside and out. 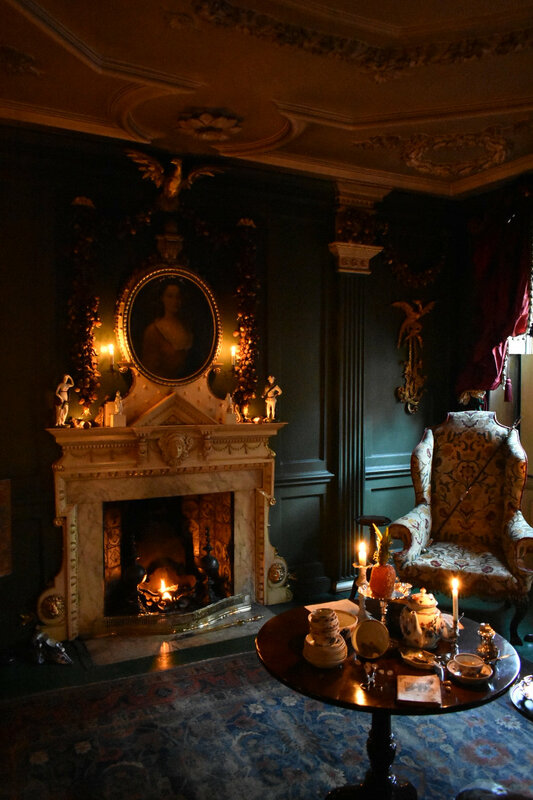 Dennis Severs was an American who moved to Spitalfields in 1979, buying a dilapidated house on Folgate St and restoring it, although that's not quite an accurate description of what he did – he was interested in the house’s “atmosphere”, and his aim was to try and re-create its former life via a series of 10 rooms which he brought to life as multi-sensory evocations of the past. He imagined a history for the house: a Huguenot family called Jervis whose generations lived in it through the centuries – from the time of Spitalfields’ boom in the early to mid-18th century through to the poverty-stricken 19th century, when French silk imports had decimated the English silk trade and the weavers of Spitalfields lived a desperate, hand to mouth existence. This change in fortune is reflected as you progress through the house, from the sumptuous ground floor rooms up to the attic. The family he conjured up seem as if they might return at any minute to finish eating the food left on plates or to snuff out the candles burning in every room. He created subtle sound effects for each room, and allowed no artificial light apart from candles. It’s an interesting and very effective conceit, because from the moment you enter the hallway you feel as if you’ve been transported to a different time, one with its own sounds, smells and sights. I’ve always lamented the fact that photography isn’t allowed, although you can understand why – that magical atmosphere would be destroyed if there were hordes of people taking photos or posing for selfies in the house. And yet it’s such a magical place that I’ve longed for years to take photos of it. So I was thrilled to be given a sneak peek at their Christmas installation, which runs throughout December each year and sees the rooms at their absolute best. It’s one of my favourite things to do in London at Christmas time and I’d highly recommend it. Tickets for the 2018 Christmas installation are almost all sold out, but the house can be visited on Sunday afternoons without booking in advance, although be prepared to queue – see their website for more details.